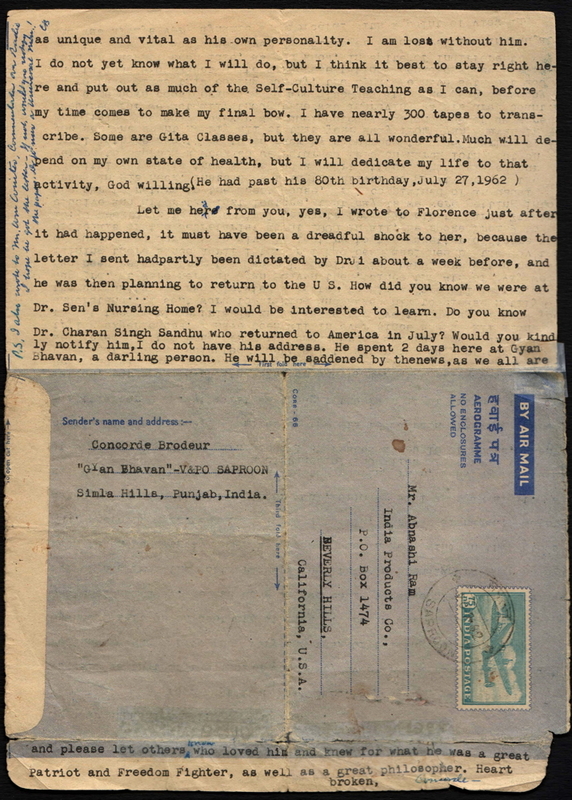 Letter from Concorde Brodeur. 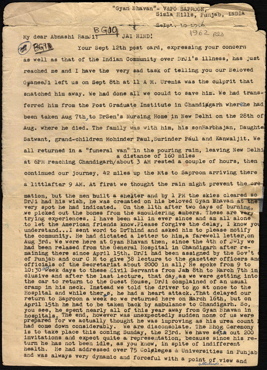 Letter is dated 1962. 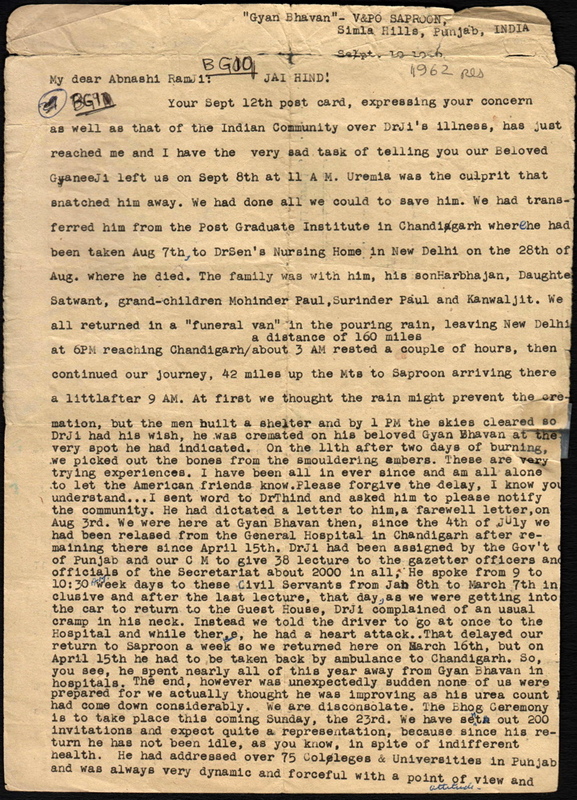 In the letter, Brodeur conveys the news of Bhagwan Singh Gyanee’s passing, among other details.